Jypyä Pop (Turku, Finland) on 12 April 2017 in Cityscape & Urban and Portfolio. Une belle prise de vie ! Jolly festive rush and mood ! Yes Easter approaches, a busy time. Great framing and beautiful colors . Lovely flowers and shoppers with full bags. A beautiful image. @Steve Rice: Across the river were the markets. 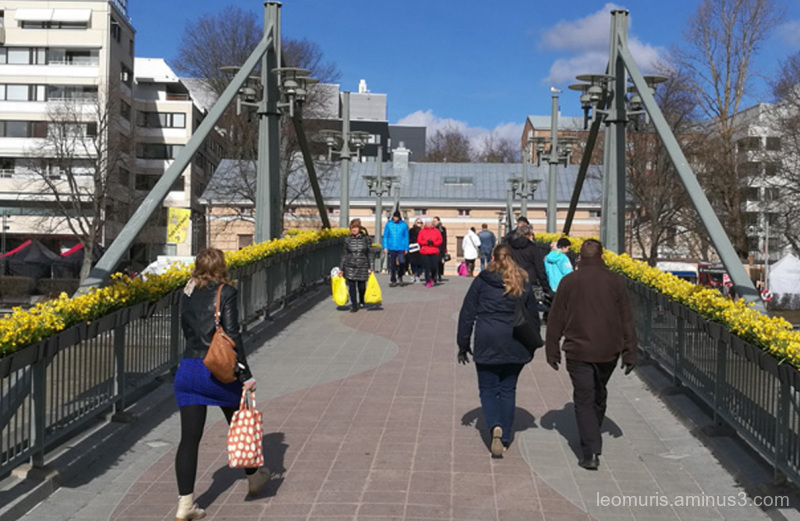 people did shop around and enjoy the sunny weather. A nice PoV that adds great depth to this composition!! I like the yellow of the bags and flowers on the railing. Lovely spring shot. They are wearing coats but the flowers are saying spring.